Disponibili macchine usate revisionate a nuovo su richieste specifiche del cliente. Availabe second hand restores machineries based on the specific needs of the customer. Disponibles machines d'occasion rémisées à neuf selon les requêtes du client. Stainless steel tanks AISI 304 or 316. 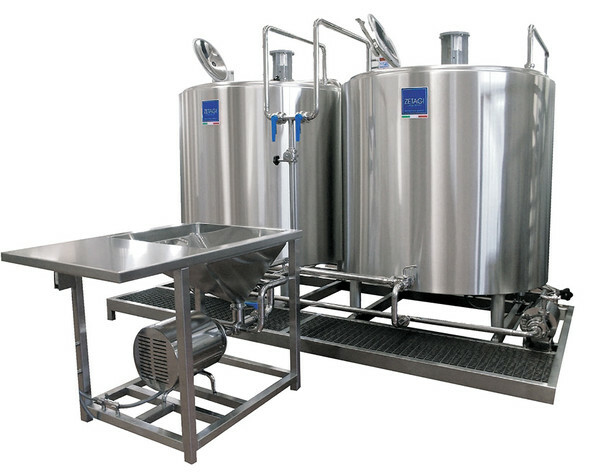 We design and manufacture of chemical washing platforms. 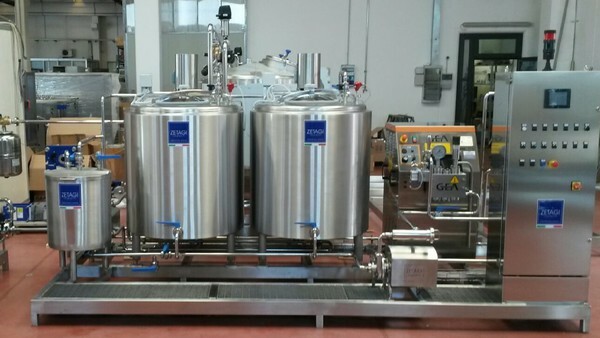 Pasteurization plant for ice cream mix in "Batch"
This pasteurization system for the ice cream mix is performed in a discontinuous mode. 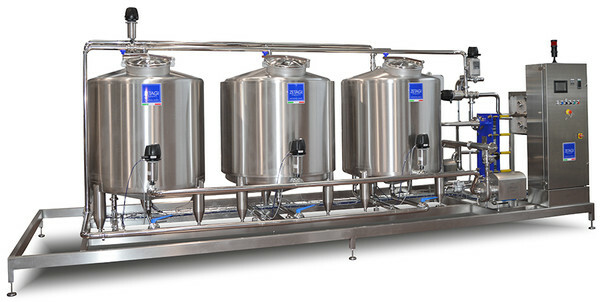 This method of pasteurization of ice cream mixture is performed continously. NR. REA VI-353813 Capitale sociale euro 15.000,00 i.v.